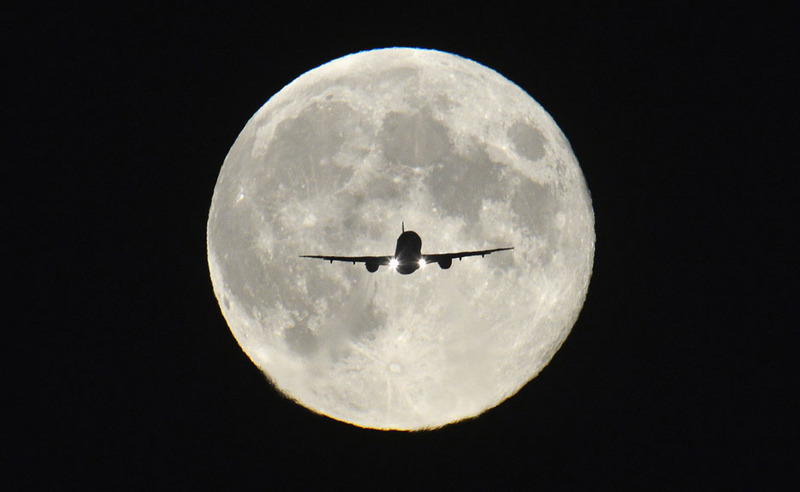 It’s getting a bit late for 2013 retrospectives, but today I came across Reuters’ selection of the best photographs of 2013. I encourage you to check it out for yourself. Ninety-three stunning, gritty, beautiful, shocking photos complete with the photographers’ detailed descriptions of what was going on, how the photo came about, what camera and settings were used, etc. These are a few of my favorites. 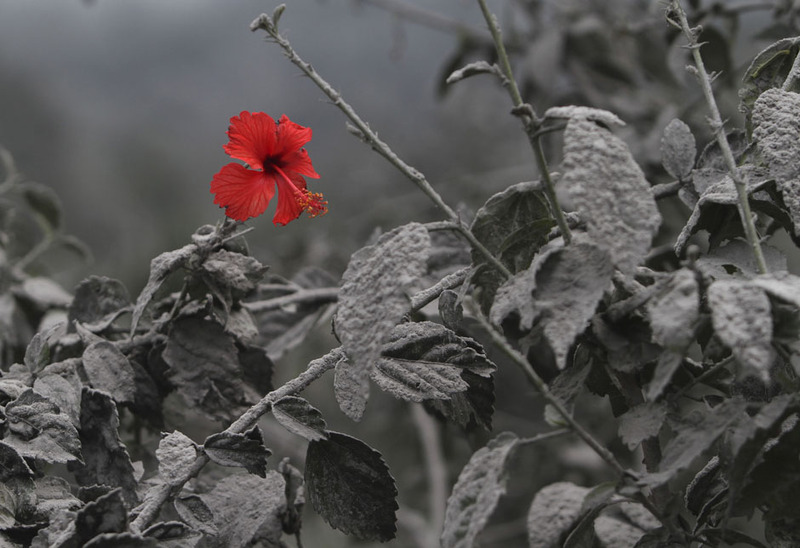 I particularly love the lone red hibiscus in the midst of the ash, and the Obama-Putin shot takes on a whole new meaning given the current situation in Ukraine. The North Korean soldiers are amusing, with their hats perched high above their ponytails and their very feminine heels (army issue?) showing beneath drab uniforms. Wow they are awesome. Love the 1st one. Yes, I get a bit misty-eyed over that one. 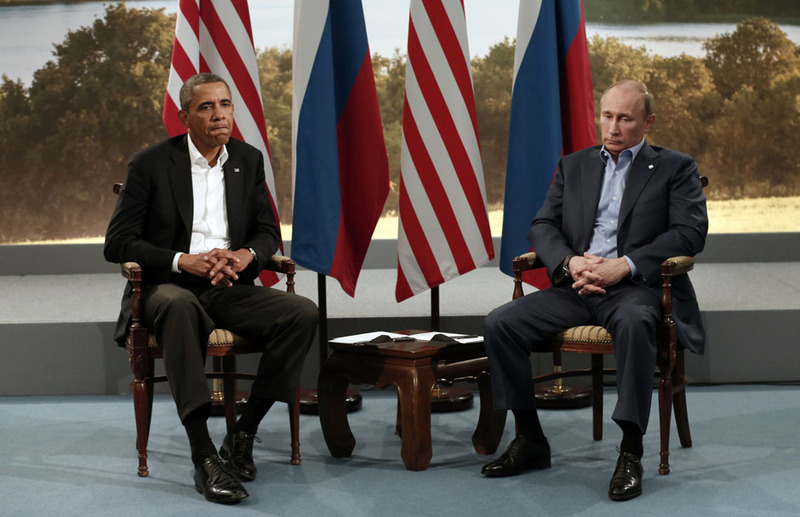 All fantastic, but the Obama/Putin shot is amazing for body language…. what a catch! It would be almost funny if things weren’t so serious right now. Maybe its just me but that second from the right North Korean soldier lady looks like she’s out of uniform to me. Everyone else is wearing high-heels and it appears she is wearing her Nike’s. Can’t she get in trouble for that? Disregarding your factual comment about the seriousness of things, Obama & Putin look like they’re waiting to be called in for their yearly colonoscopy exam! My favorite would be the Hibiscus! 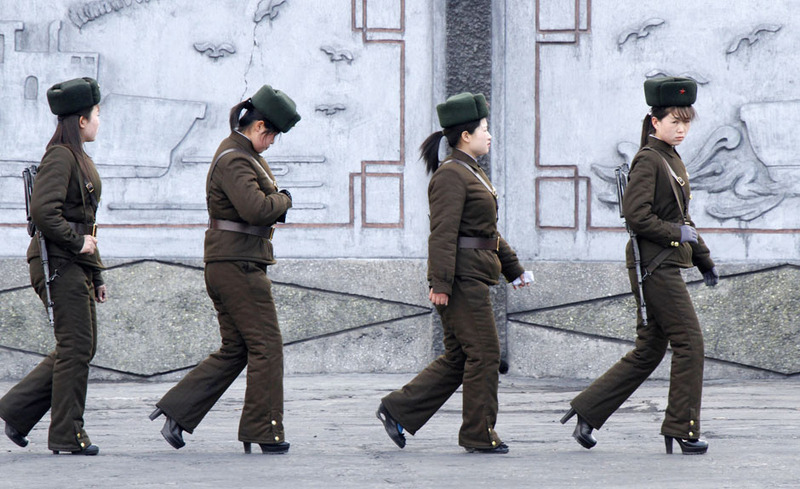 It occurred to me, the way those female soldiers are dressed, that there must be a fair amount of sexism in the North Korean army. There’s certainly no practical reason for those high heels. And yes, I noticed one is out of uniform — or maybe the other three are. I’m not sure how the one on the right is managing to keep her hat in place. Looks like she’s balancing a cake on her head. I thought Obama and Putin looked like a couple of guilty schoolboys who’ve been sent to the principal’s office (as they should be!). Yep, I agree, the hibiscus is riveting. It’s my favorite of all 93 photos.